A social media policy is a workplace policy that provides employees with guidance as to how they should use social media in a professional and personal capacity. It usually includes rules on the use of workplace devices and internet connections to access social media as well as the type of content that can or should not be posted on social media by employees. Comments made on social media can quickly reach a wide audience and screenshots can preserve them forever! Imagine you have an employee who is making negative comments about your business on social media, sharing confidential information or making discriminatory jokes. That information can quickly end up in the public sphere and it is usually easy to identify where somebody works, especially if they have a LinkedIn account. The decision that an employee makes to share information online can cause substantial damage to their employer. If you are an employee, you may be wondering why your employer should be allowed to tell you what you can and cannot post on social media in your own time. However social media blurs the boundaries between personal and professional. Think about this: are you Facebook friends with any of your work colleagues? Has anyone, including yourself, posted publicly accessibly pictures of you to Instagram? Remember, everything you do and say online in a personal capacity can impact on your employer. Overall, it is better for everyone if the business has a clear and comprehensive employee social media policy. This gives the employer security in knowing that they can take action if their employee breaches the policy. The employee can also relax, knowing what is and is not acceptable social media behaviour. A social media policy should be clear and comprehensive. Employees can be asked to sign a document in which they state that they have read and understand the policy and will abide by its terms. The policy itself should state who it applies to, the range of acceptable and unacceptable online behaviour and the consequences of a breach of the policy. It is useful for employers to clearly state the differences between acceptable social media use during and out of work hours. Businesses should also tailor a policy to suit their needs. For example, some employers might want to make it clear that confidential workplace information cannot be shared online. The more clear and comprehensive the policy is, the easier it will be to understand and follow. 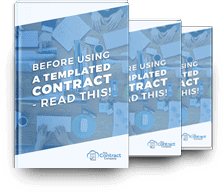 Get in touch with The Contract Company to make sure all of your HR policies are spot on.